nesdev.com • View topic - Are famiclones illegal? Post subject: Re: Are famiclones illegal? Game Boy boot ROM is easy to HLE though. Only by the GBA era did it actually contain program-visible functionality other than initial register state. They don't say "we didn't copy it". And given the layout we can see in the decapped UA6538 I have to say I'd be skeptical that it's not a copy. 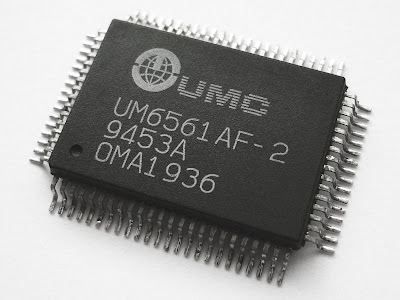 But maybe the UA6541 was a proper original clone, and when they had bugs they gave up and went back to cribbing the design in the 6538. Huh! I wonder what they changed there. They're certainly still using DRAM. Which reminds me of something I have always wondered: why have expensive SRAM in both CPU RAM and PPU nametable RAM, but DRAM for something as crucial as the tiny 256 bytes of OAM? DRAM is usually described as the choice for higher-capacity memory, yet in the NES, it's the opposite. I must say that I am having trouble understanding what that court document means in terms of outcome. Did Nintendo or Centronics win in the end? There were followups, which are much less interesting to read. In short, Nintendo won as usual. Last edited by MLX on Mon Apr 16, 2018 1:39 pm, edited 1 time in total. 1'st link is very interesting. I still waiting for RP2C07 and UA6527P decapsulation. Nintendo won Centronics, but not UMC, right?